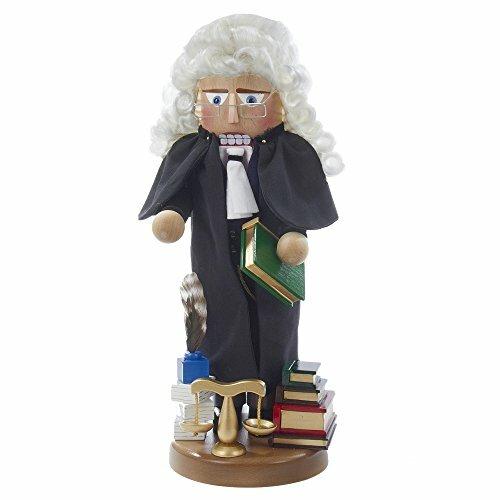 This barrister nutcracker is a new special edition piece in the Steinbach nutcracker collection. This 17" piece is beautifully detailed in court dress, from his long, curly white wig to his long black gown. He is holding a book and is surrounded by details like a stack of books, a quill pen and ink bottle and the scales of justice. Signed by Karla Steinbach.